Six months after launching a 13 billion euro rights issue, the Italian bank is beating its targets. 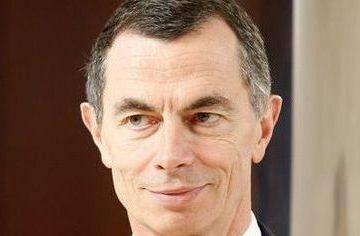 CEO Jean Pierre Mustier has cut costs and sold assets, but a recovering European economy also means fewer bad debts. Following winds help it weather tougher accounting standards. Unicredit bank Chief Executive Officer Jean Pierre Mustier looks on during the shareholders meeting in Rome, Italy, January 12, 2017. UniCredit reported net income of 945 million euros in the second quarter of 2017, up from 907 million in the previous three months, the Italian bank said on Aug. 3. Excluding one-off effects from the sale of the bank’s Polish business, net income for the quarter was 1.3 billion euros. UniCredit reported a common equity Tier 1 capital ratio of 12.8 percent, and a return on tangible equity of 8.2 percent. UniCredit stock rose 4.21 percent to 17.32 euros a share by 0930 BST on Aug. 3.